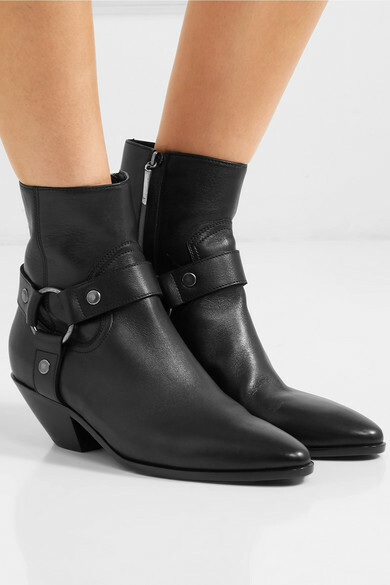 Cowboy boots are one of the most coveted styles to wear this season. 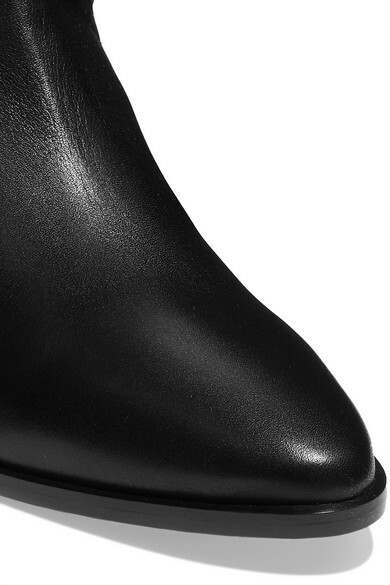 Saint Laurent's aptly named 'West' pair has been made in Italy from smooth leather. 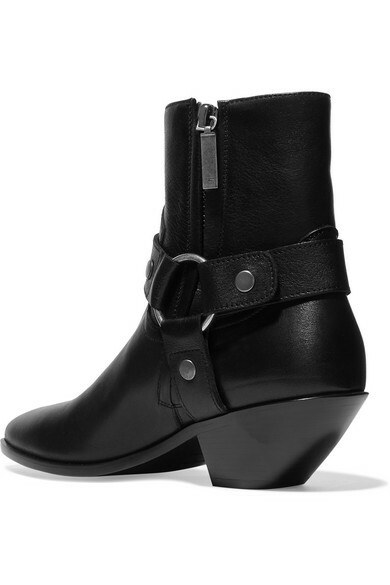 They're detailed with harness straps and rest on a chunky Cuban heel. Team them with skinny jeans and a sweater. Shown here with: Saint Laurent Shoulder bag, Saint Laurent Jeans, Saint Laurent Sweater.